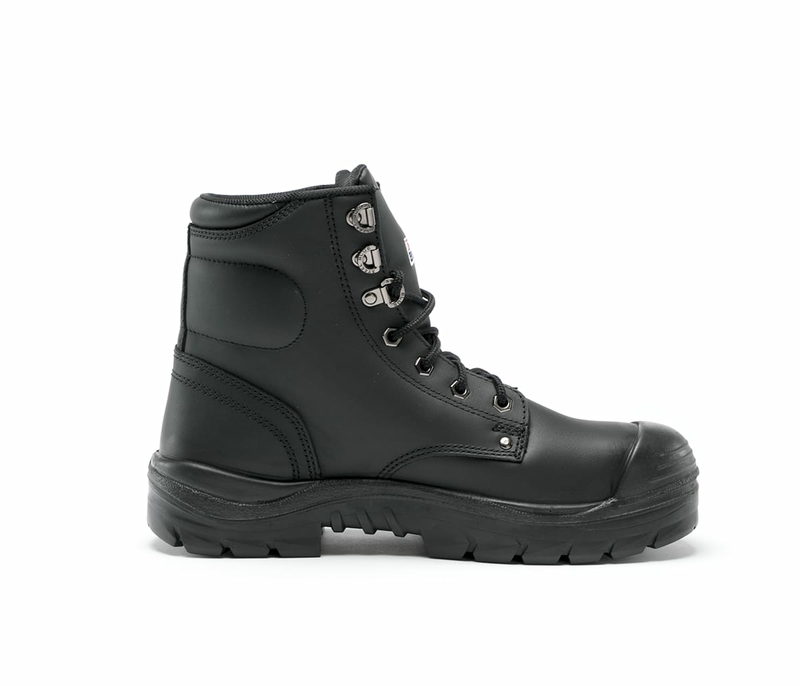 The Argyle is a 150mm men’s derby style, lace-up Ankle Boot with padded collar and tongue. 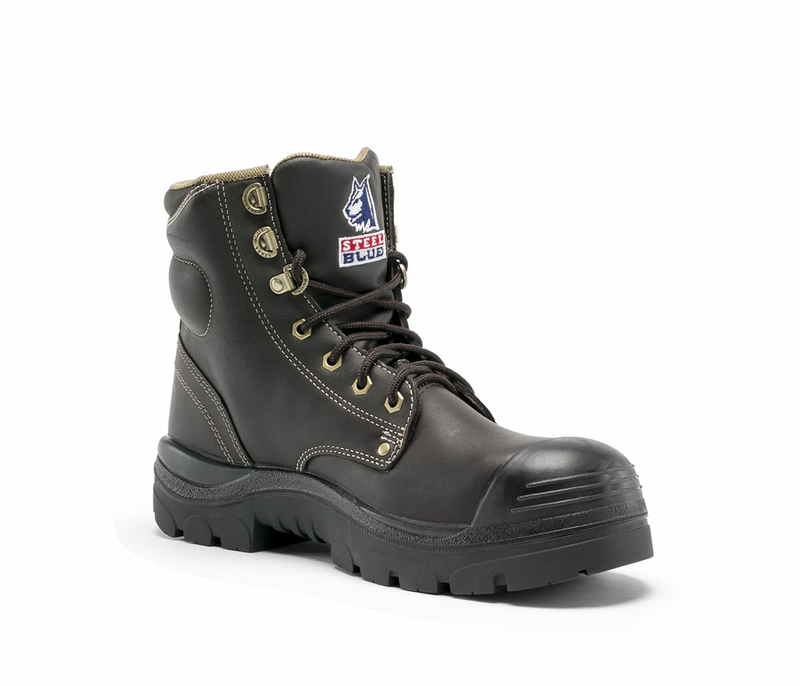 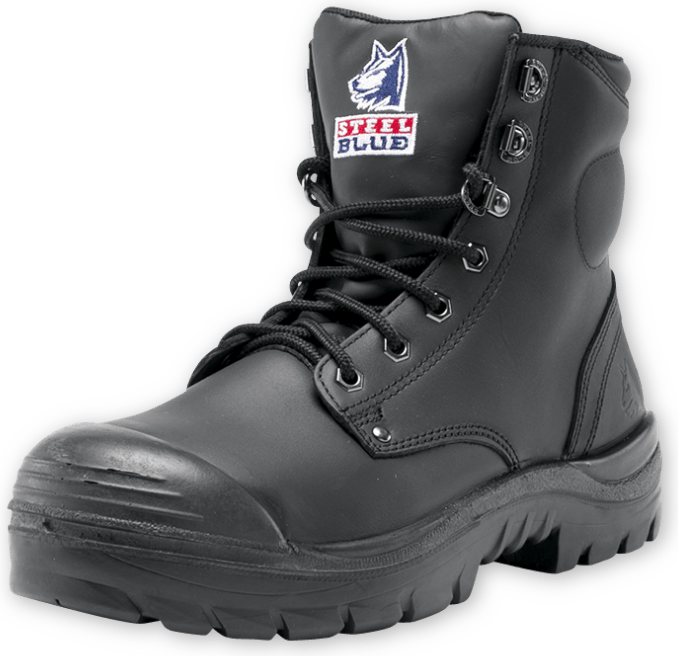 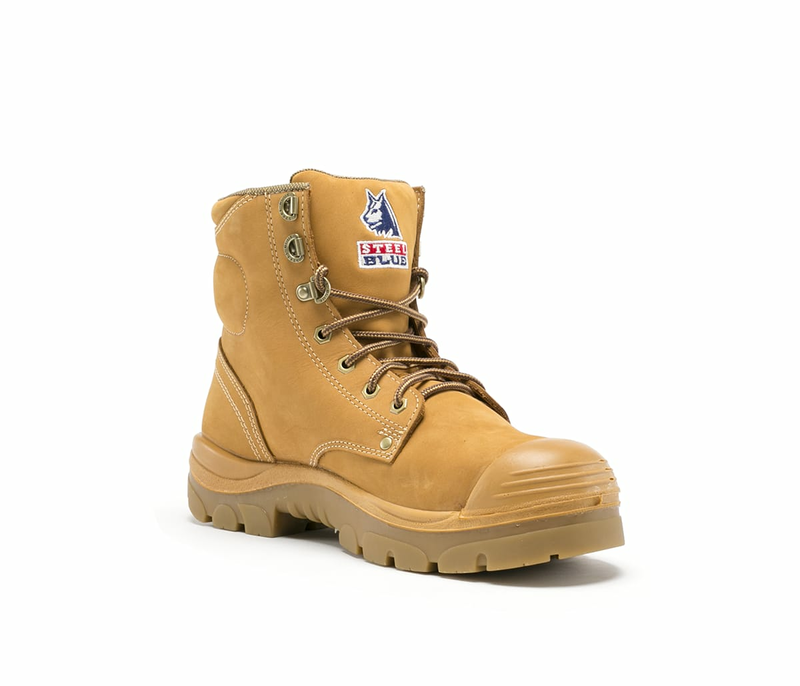 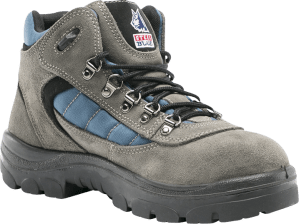 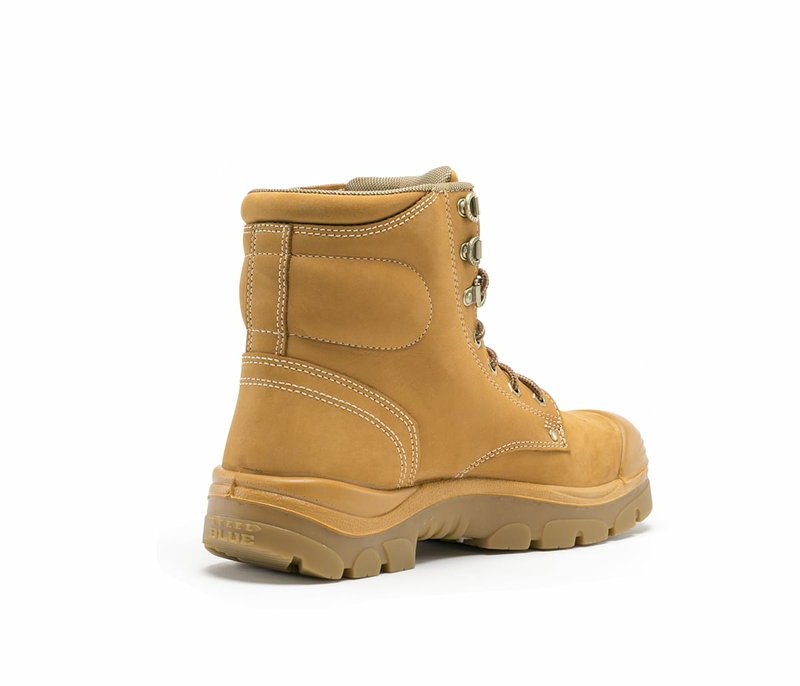 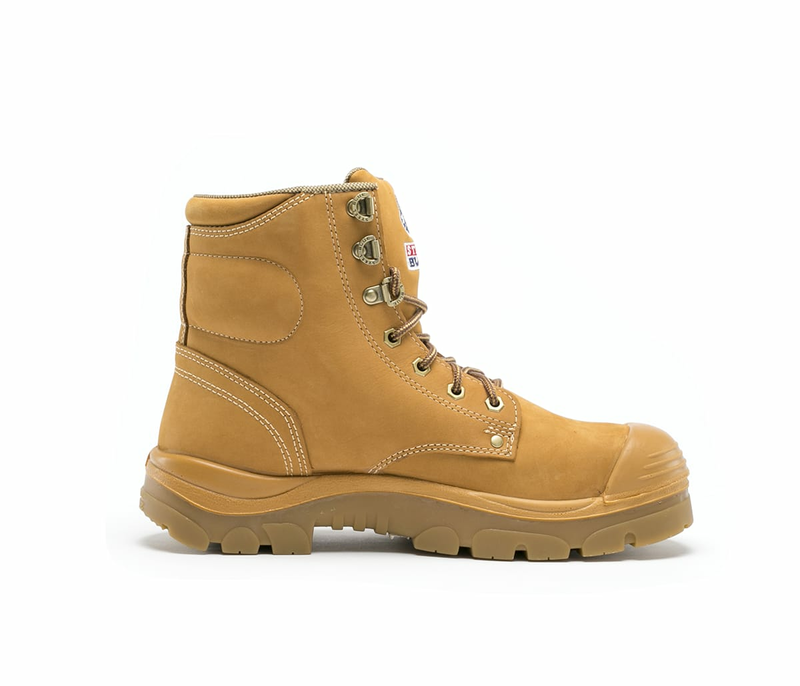 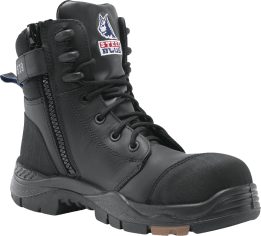 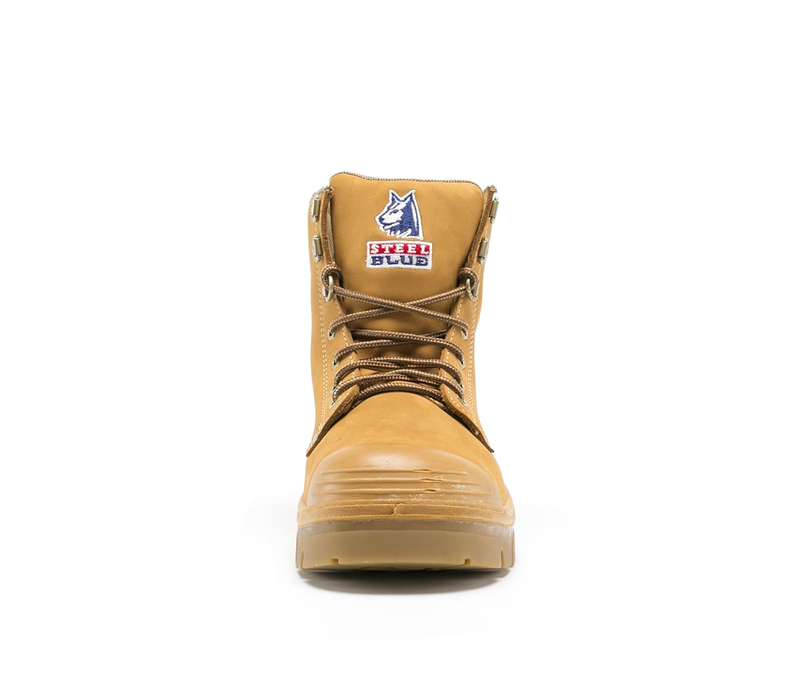 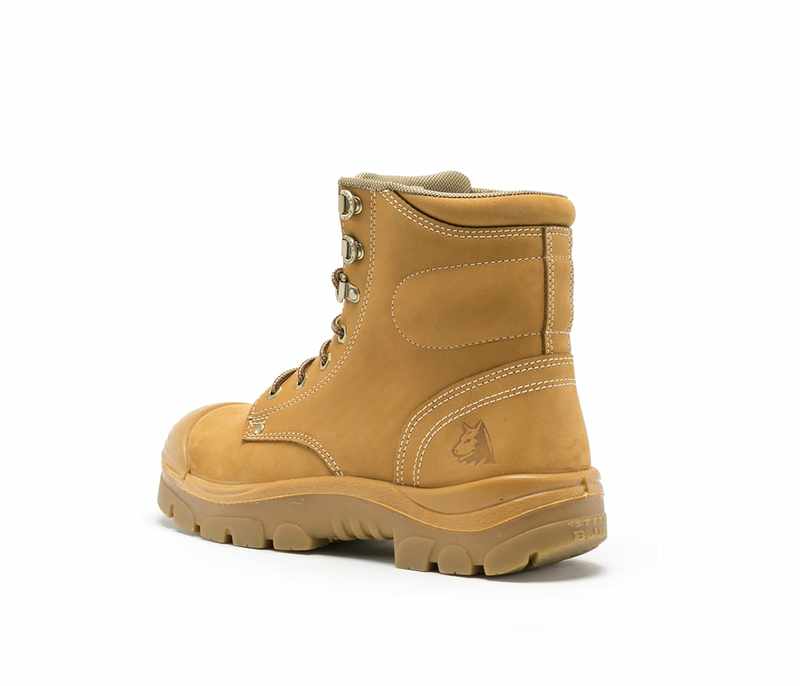 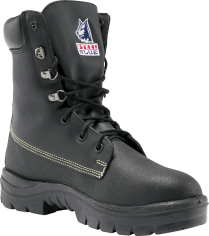 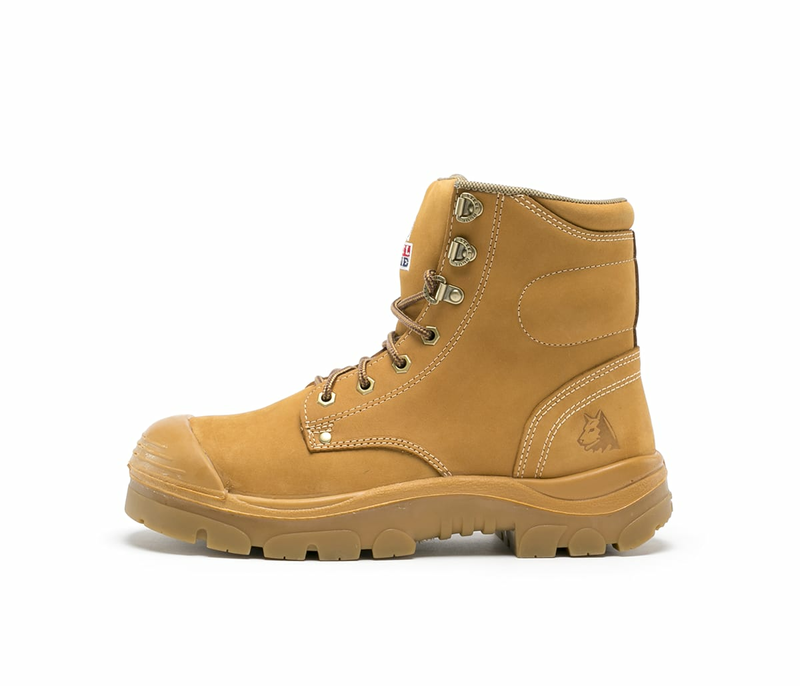 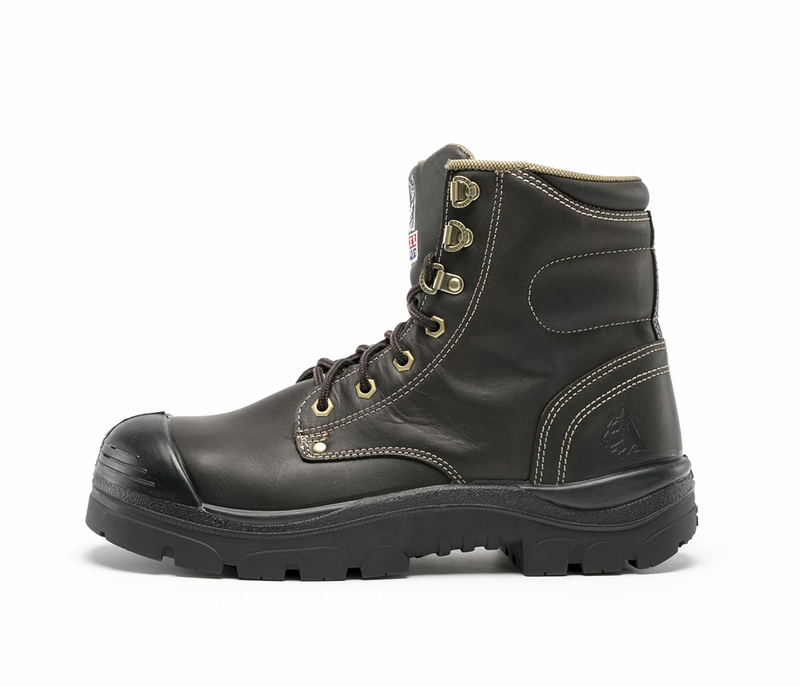 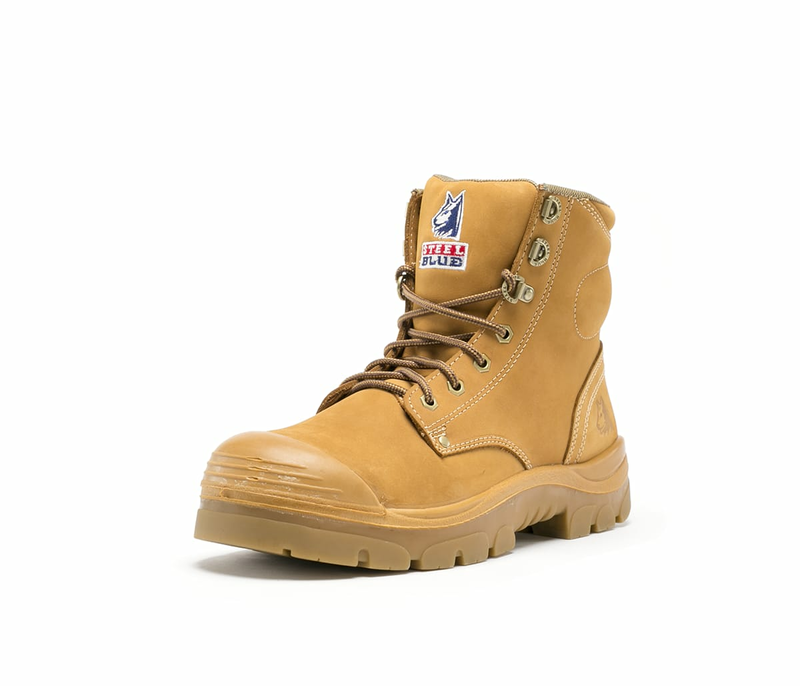 A popular 100% comfortable choice for Bricklayers, Glaziers and Sand Blasters with a TPU outsole heat resistant to 130 degrees and a 200 joule safety steel toecap. 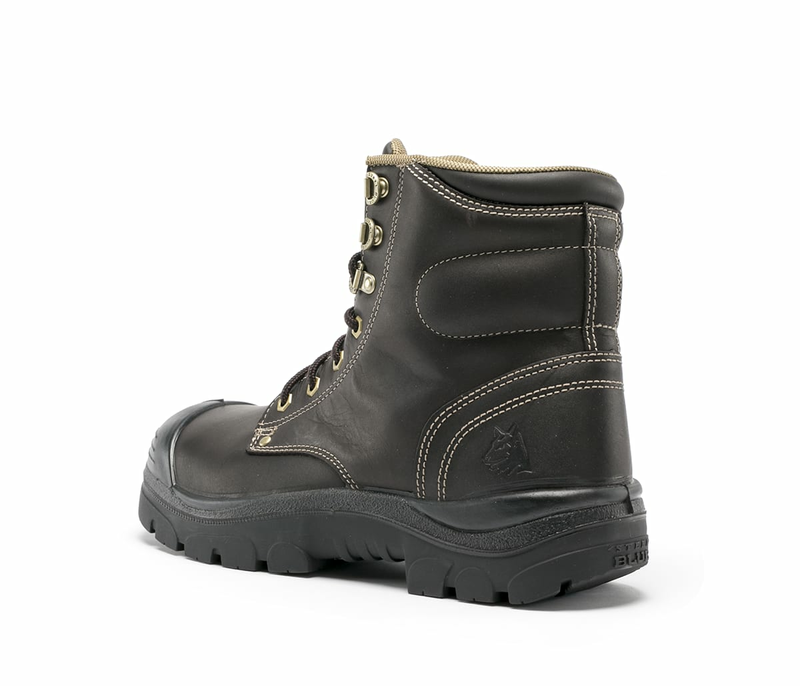 The Argyle has anti-static properties and premium water resistant leather available in black, wheat nubuck and whiskey colours. 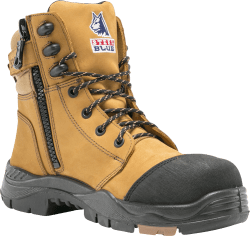 All Steel Blue boots are made from high quality, long-lasting leather, including Nubuck, Full-Grain, TECtuff®, Suede and more. 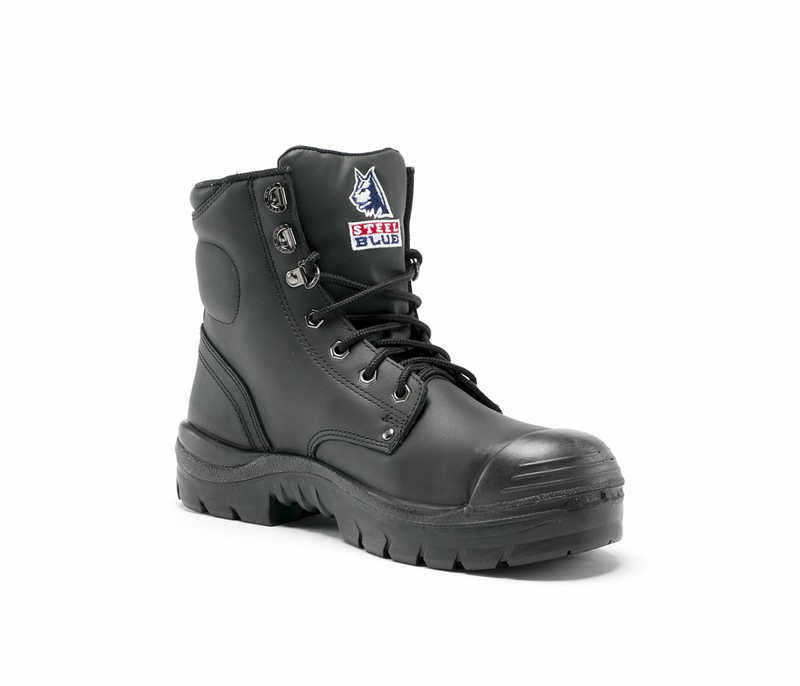 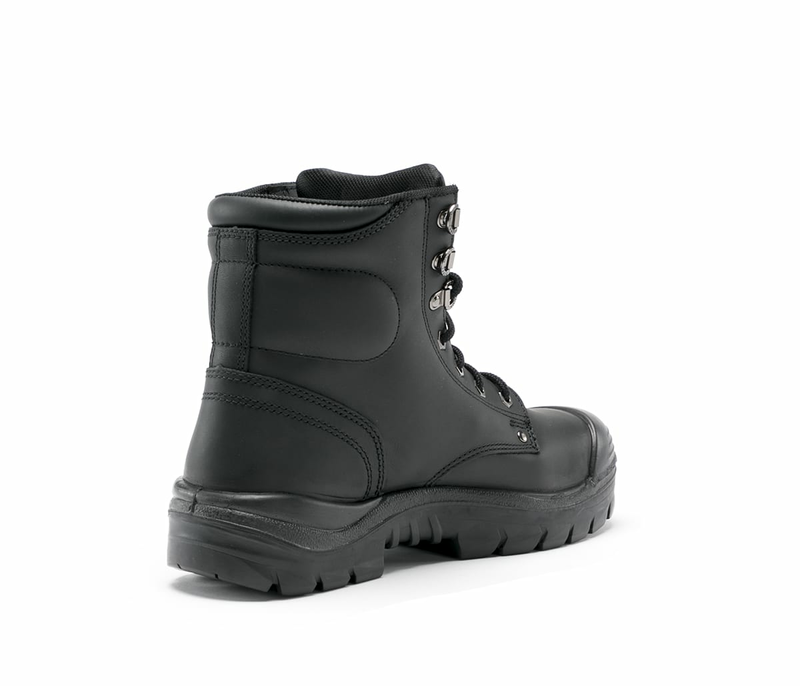 Made from hardened steel for premium toe protection. 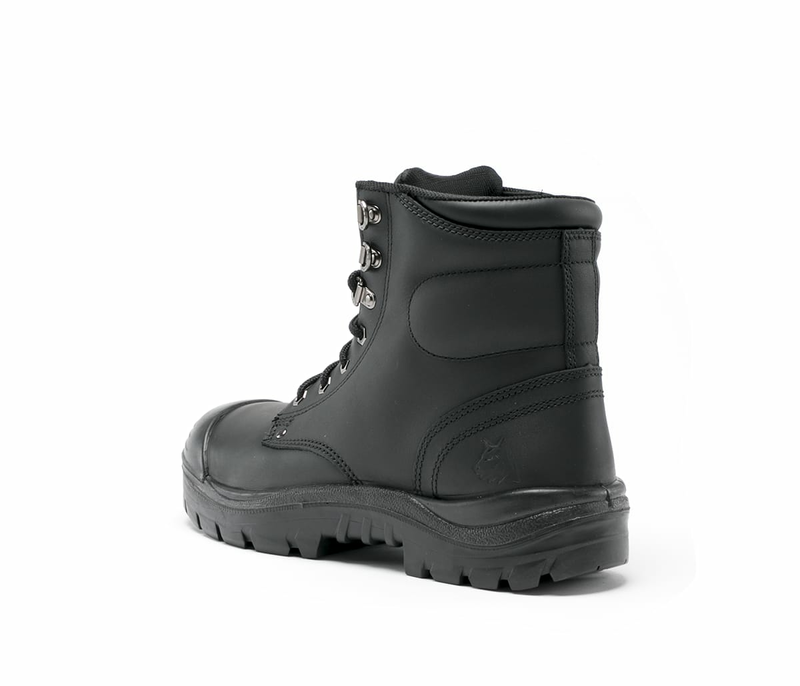 Superior resistance to abrasion and heat resistance to 300°C. 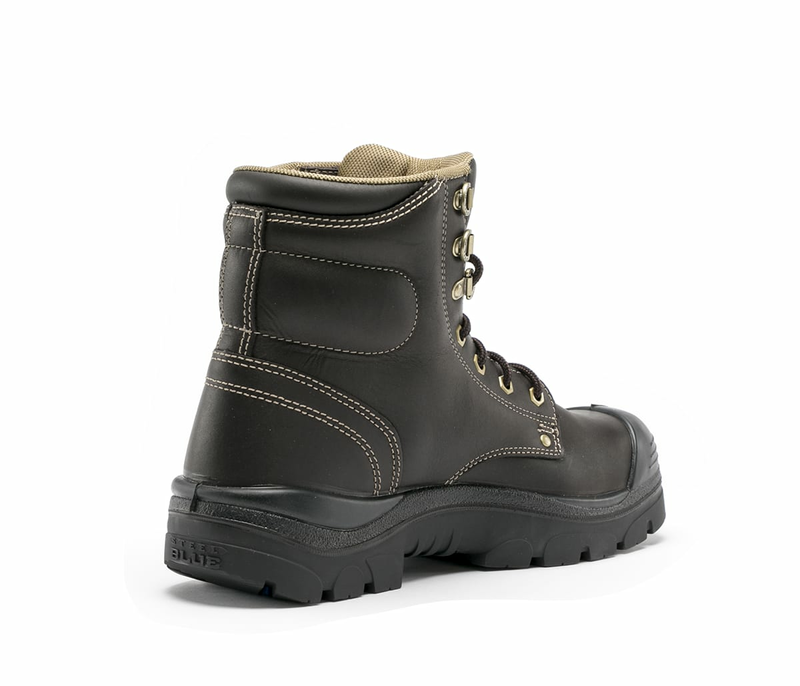 Prevents the build-up of static electricity within your body by dissipating it through the sole. 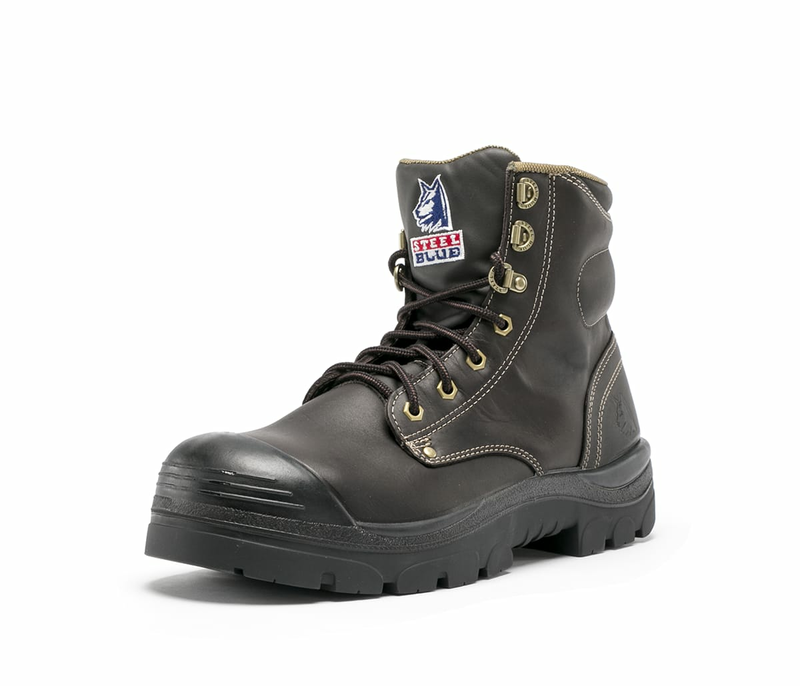 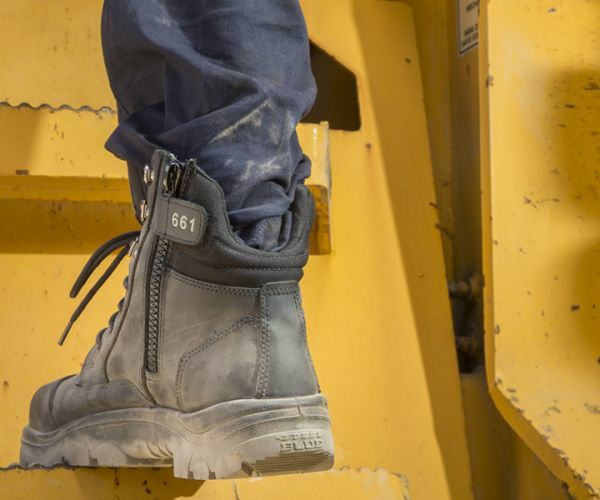 A special tanning process treatment means all Steel Blue boots are water resistant. 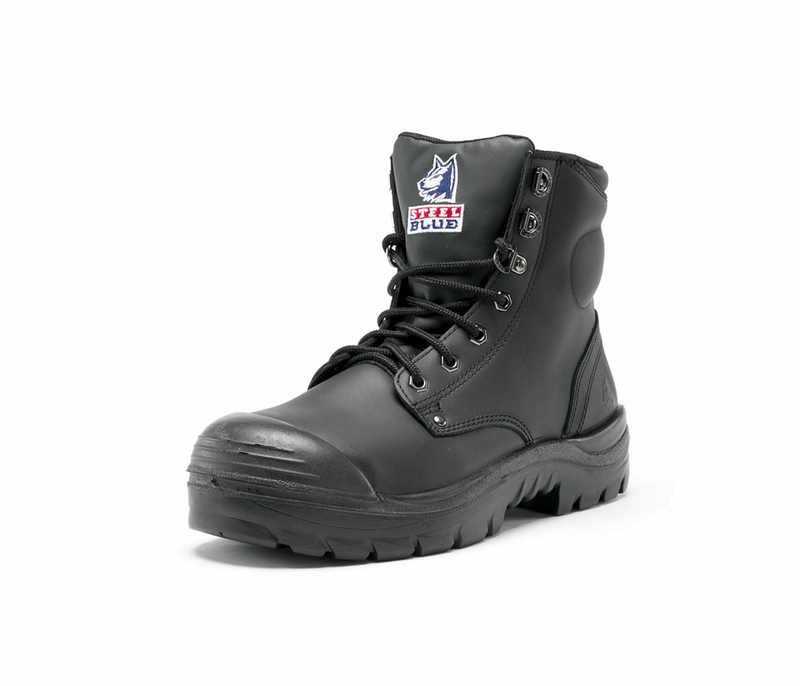 An extra tough steel or composite midsole to prevent sharp objects getting through to your foot. 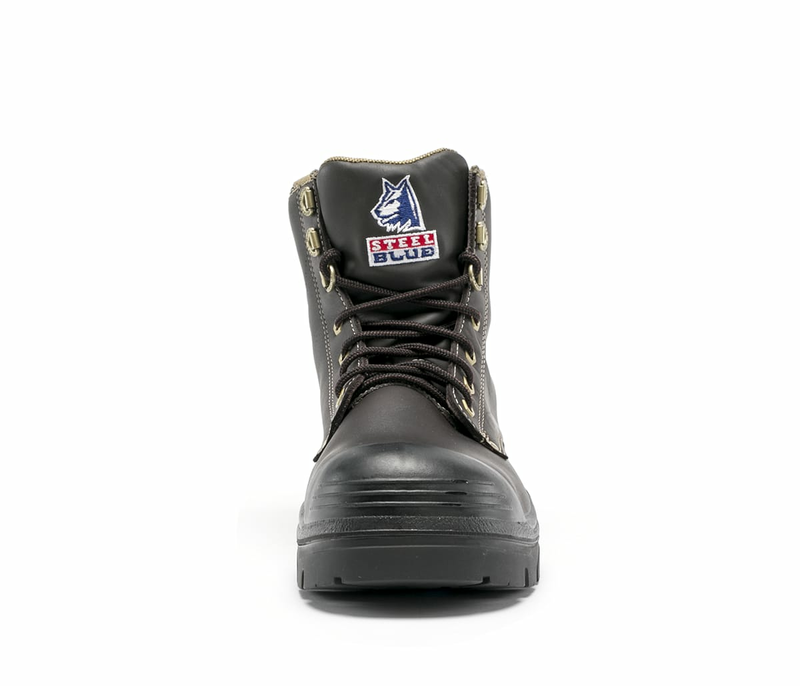 A hardy, Polyurethane Bump that’s directly moulded as part of the midsole. 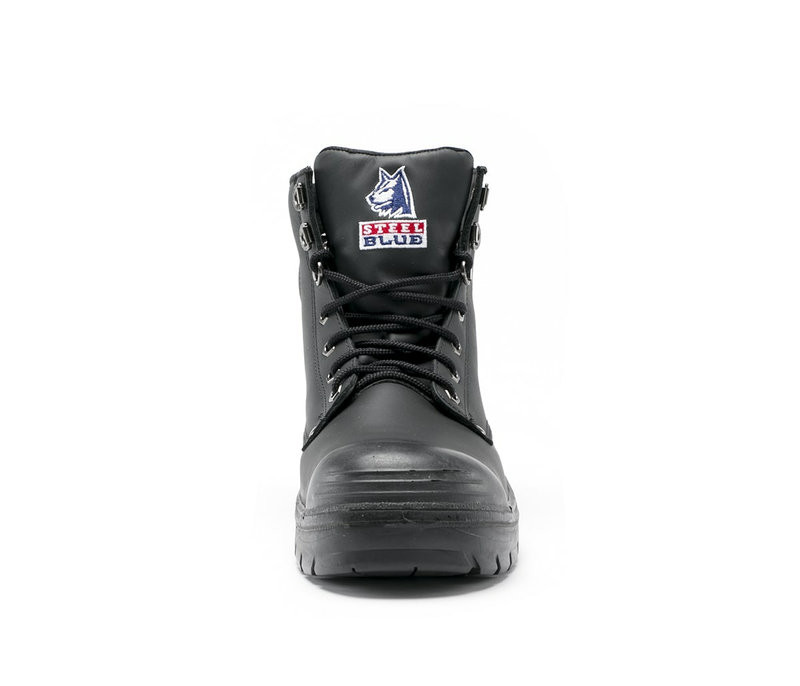 A classic fastening for snug, well-fitting work boots. 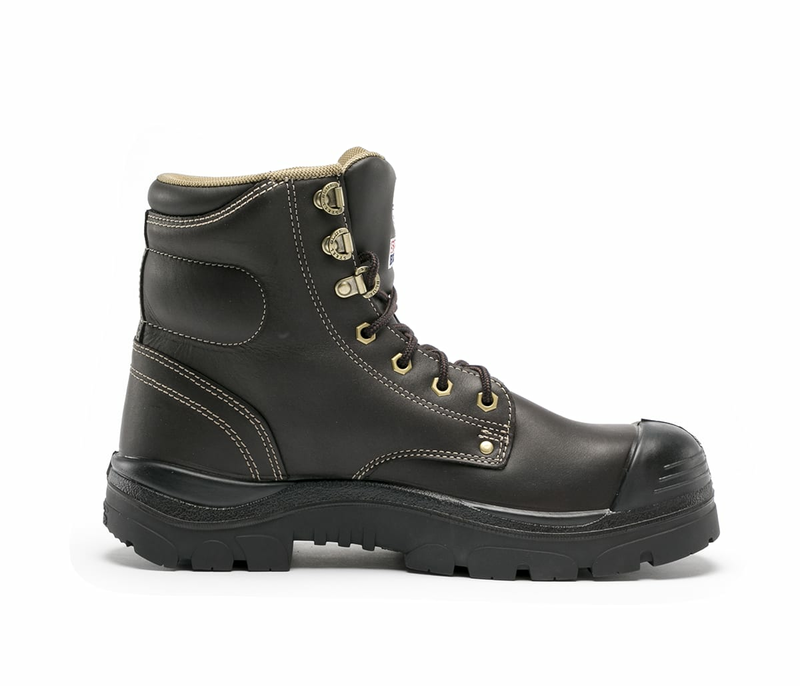 Each Leather is specifically chosen to ensure the style of boot is fit for purpose. 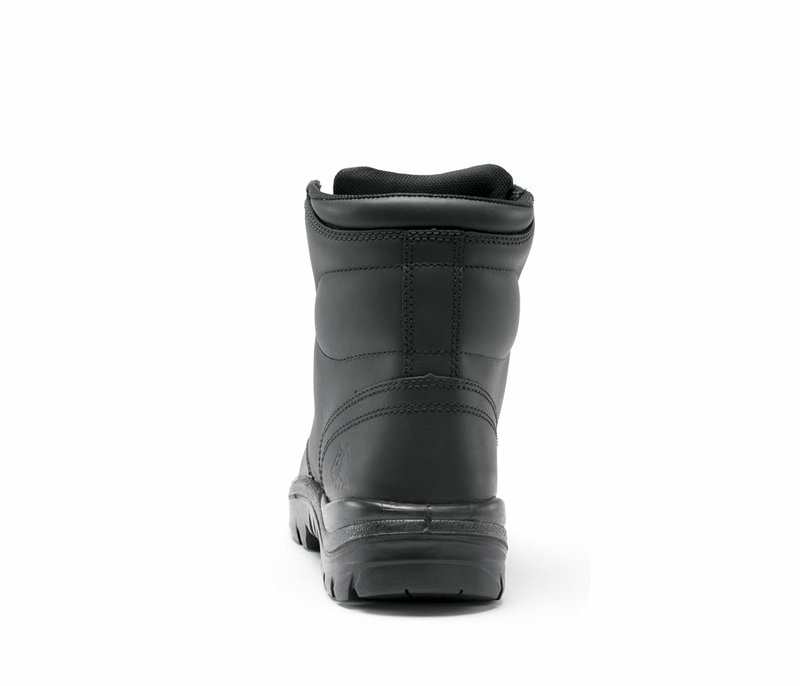 A soft, non-abrasive, hydrophobic material that wicks perspiration away from the foot, enabling the skin to remain cool and dry. 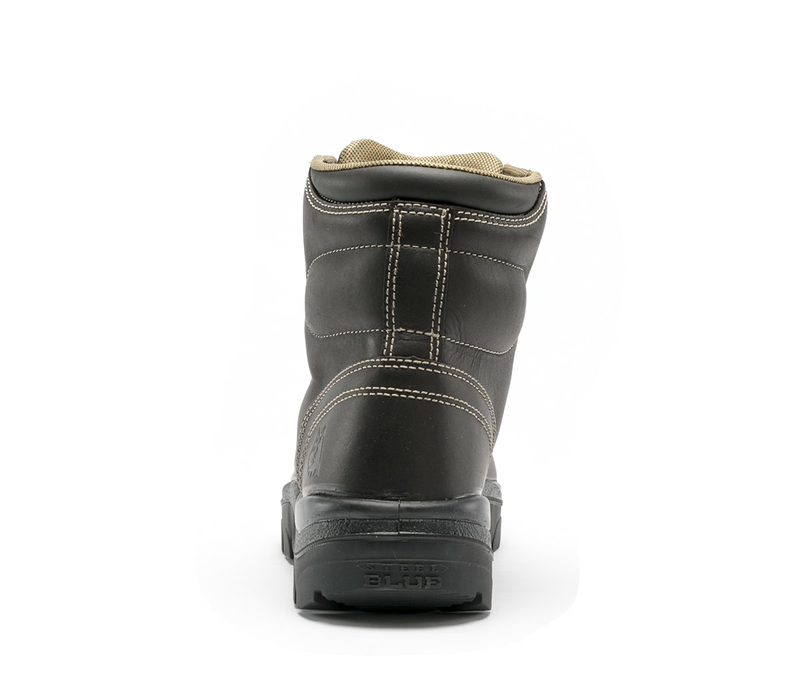 Our patented Ortho Rebound® Footbed is uniquely designed to reduce foot fatigue. 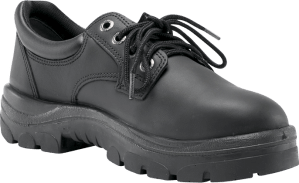 Made from high quality Polyurethane, it always retains its shape and thickness to ensure support from heel to toe, is antifungal, and the high wicking material keeps your feet cool and dry. 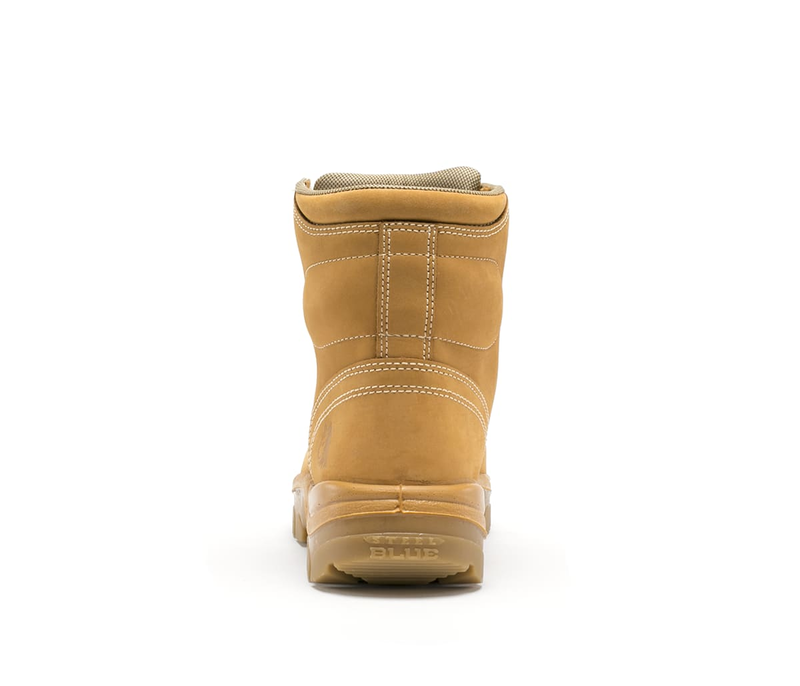 Strategically placed high-tech Poron® pads are placed in the sole and under your foot’s peak stress areas. 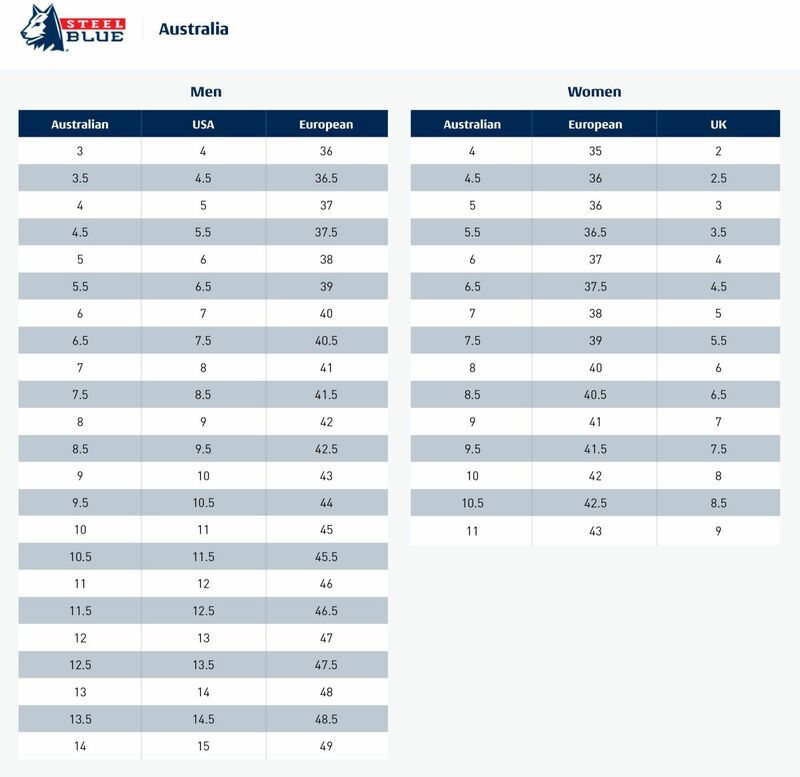 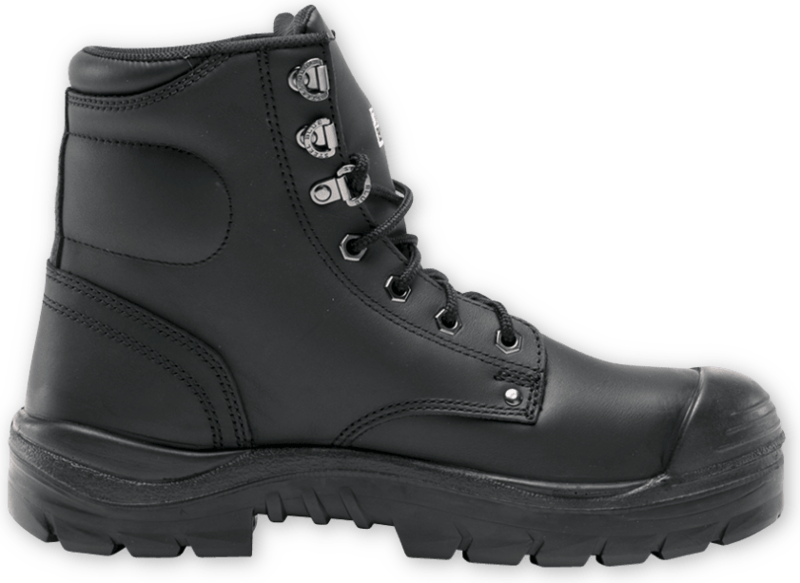 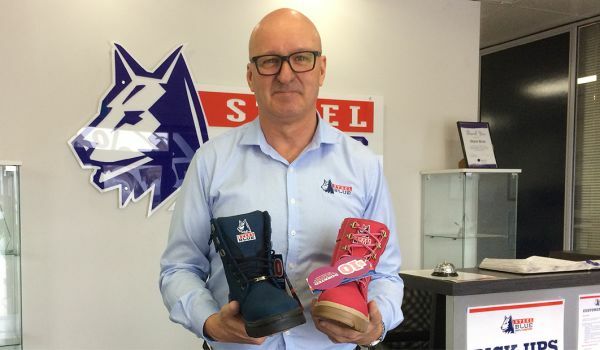 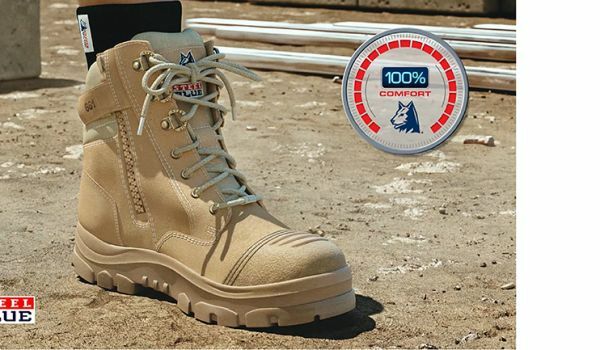 We included Poron® in our Trisole® Comfort Technology, which is now the benchmark for safety boots.